I'm excited to offer you a Brand New Journaling resource, ​The ART of Journaling Prompt PLAY Book! It's a 7 pg PDF filled with Prompts, Questions and Image suggestions for your journal, art journal, sketchbook, or whatever you choose to P-L-A-Y with in your creative space! Just click the image for access! I'm super excited to share my Brand New "Beginnings" Watercolor Series in my Art Store! Come Celebrate with Me as I share my JOY with watercolor with these new offerings. featuring my JOY Design Series and my Beginnings Watercolor Series. If you're looking for some fun Doodle ART to use in your journal or planner, follow this link for stickers, buttons, magnets and keychains! You're welcome to complete Dawn's Purposeful PLAY Survey! Thanks for your contribution. "I cannot say enough good things about Dawn Herring..(see more)"
"To say that Dawn embodies JOY is an understatement! (See more)"
There is an ART to Living in JOY. But it doesn't have to be complicated! No, keeping your JOY simple is KEY. One of the ways I create JOY is through my own Artistic practice, creating hand lettering and illustration and painting with watercolor. I also enJOY writing songs and singing with my tambourine! But, are we aware of how we can Create the Kind of Lives we desire--that we want to fully embrace? That's where our Hearts come in! Deep in that resonant place we can find the secrets to a Powerful, Happy JOY filled life that engages, inspires and refreshes. The more we tap into that JOYful place as Artists, the more we will find contentment, satisfaction and personal empowerment. And when we are personally empowered, we can make the world a better place. As an Intuitive Artist and Designer, I find myself turning to another power source on a daily basis that helps me find Clarity every day, tuning into what my Heart Desires--that power tool is JOURNALING. I've kept a written journal for the past 30 years (and counting!) and enJOY tapping into my Tool Box I use to keep it Relevant, Revealing and Renewing...so it never gets old or boring. Honoring my Live Experience as Artist, Wife, Mother, Grandmother, Daughter, Sister and Friend is important to me...and journaling is that Power Tool that enables me to see everything afresh . And not only that, it also helps me to Stay Connected with Spirit, which, to me, is Absolutely Essential. That Connection helps me keep the Light on Deep in my Soul, and that's where my Creative Energy comes from! I would like to offer you a resource called, The ART of Journaling, that includes 7 Power Tools I refer to on a regular basis in my personal journaling practice. Since I know changing things up, where we have choice of How to tap into the energy and wisdom deep within, can make all the difference in learning more about ourselves, which is KEY to JOY every day. If you would like to start a journaling practice, or if you already have one, or if you're looking to tap into your deeper wisdom and creativity as Artist of Your Life, simply subscribe today and you will receive The ART of Journaling in your inbox. 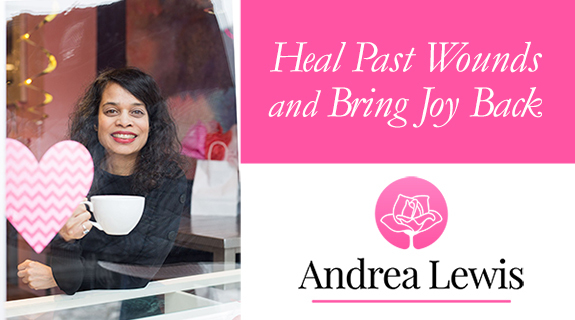 (In addition to receiving this powerful download, you will also receiveThe ART of JOY newsletter where I share what is inspiring me as ARTIST and share my life insights along the way with JOY as the centerpiece, with the goal of helping you find Your Creative Voice. Get my Powerful Journaling Tool Box and see what a difference this resource can make to help you access those inner knowings that are just waiting to be discovered. Be the ARTIST in Your Life that you're meant to be and walk in your personal power today! To receive The ART of Journaling Tool Box PDF, simply click on the image! "Dawn is the real deal. Dawn embodies so much JOY in such a way that it's impossible not to have a massive shift in your state simply by being in her presence. She is gifted in the ability to take you back to your JOY in a very direct, fun and gentle way. (See More)"
I so look forward to connecting with you in Art and Creativity, and Journaling our way to personal empowerment. May JOY Align with Your Creative Heart! *When you subscribe, your email is completely safe with me. I will never share it or sell it to anyone. Your privacy is of upmost importance to me, and you can unsubscribe at any time. My goal is a JOY-Filled Connection between us with you getting only what you sign up for. Thank you. **When you sign up, you will also receive The ART of JOY. Note: All content that is not linked to a resource on the internet is copyrighted to Dawn Herring. Please do not use Dawn's content without prior permission by contacting her at refreshwithdawnherring@gmail.com. Thank you.